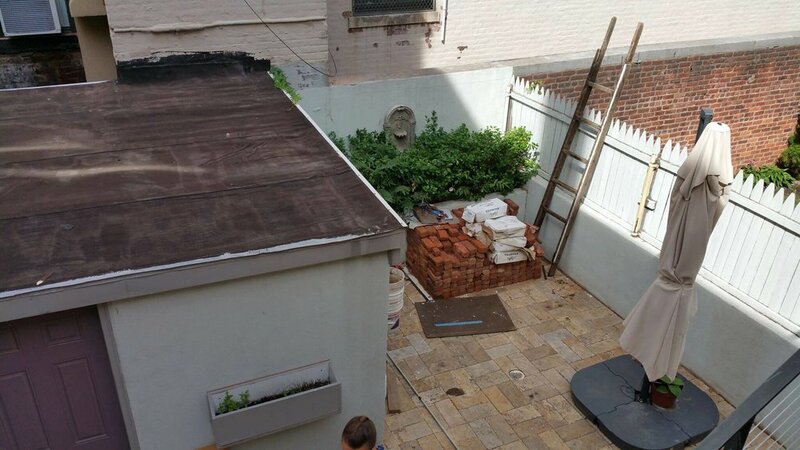 This Hoboken brownstone client wanted a more useable outdoor space for their busy young family but didn't want to sacrifice their storage shed. 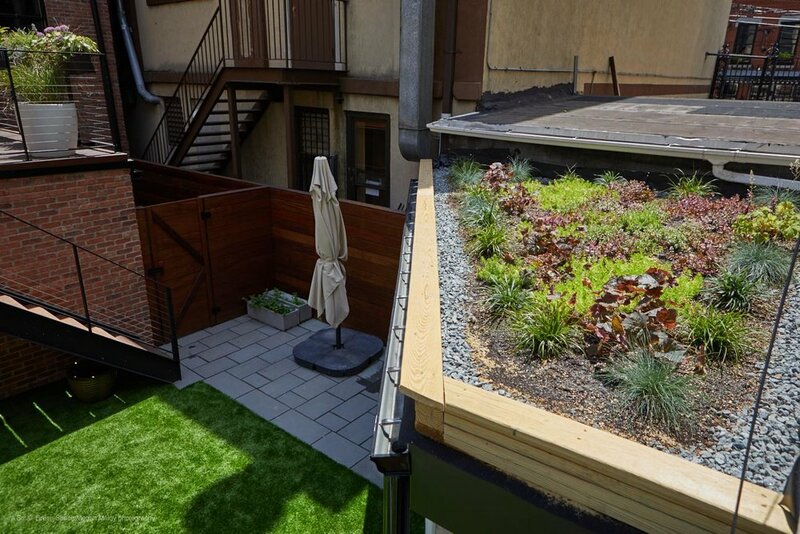 Our design reimagined the shed into a smaller triangular shape with a sedum green roof, affording the client more "garden" while maintaining storage space. 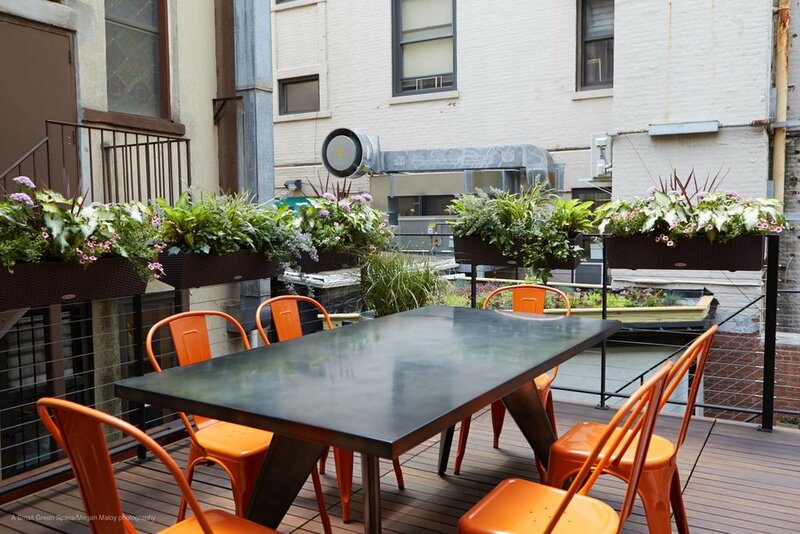 We included raised beds with lighting, which double as seating, around an artificial lawn. We designed a private space with gate to the home's ground floor rental unit and added plenty of colorful container plantings throughout.